Shinbashi Christmas Illumination (新橋クリスマスイルミネーション) is a winter lightj-up the SL park in front of Shinbashi Station. 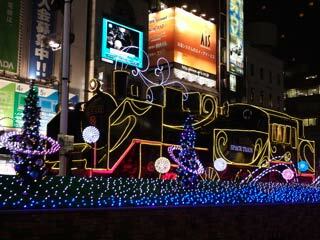 The SL locomotive will be decorated with 20,000 beautiful lights. The music is image song of Christmas at Shinbashi. Period: From the end of Nov. to the beginning of Jan.